When facing mental laws there can be seemly be some ways to escape them, although if you are faced with them, you will reap the consequences. On the other hand natural laws like the law of gravity or the law of sowing and reaping will always manifest the results. Rather soon or later. Selling will always be in the category of mental laws. Grab your free Training on 10 Proven Tricks to build your business and create leads. 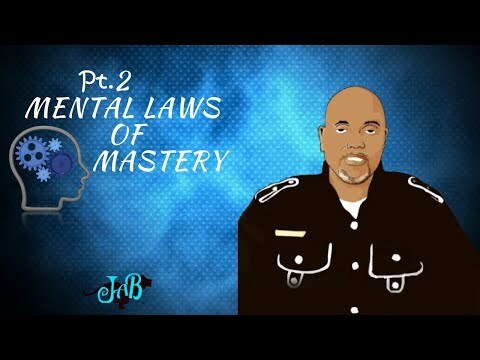 There are 7 mental laws that you want to master in order to use for your advantage and I share two of them in this post and they are The Law of Control and The Law of Belief. We will define them in depth below. This law states that you feel positive about yourself to the degree to which you feel you are in control of your life, and you feel negative about yourself to the degree to which you feel that you are not in control, or that you are controlled by some external force, person or influence. All these laws are really essential to your success. Whatever you believe, with feeling, becomes your reality. You don’t believe what you see, you rather see what you have already decided to believe. Beliefs determine how we behave on a daily basis. We consistently act in accordance to the beliefs we have about the world, ourselves, others, events and circumstances. Also within the selling arena we must master our beliefs because they will drive our behavior. These are pre-programmed responses and reactions that we have conditioned ourselves to accept whether conscious or in the long tern sub-conscious. And the longer we allow these conditioned responses to perpetuate within our psyche, then the greater difficulty we will have in transforming these patterns for the better. Finally, beliefs are nothing more than just illusions of reality, so we must I say master this law. Here is some more training on Marketing Vs Sales that will give you insight to persuade your prospects to embrace the sales process. We must apply all the mental laws of selling because after all, we are only want to present to our client what they want along with the reason to purchase or work with us without resistance.